A stone bridge with two arches extending across a river. Boulders lie across the river and bare trees grow around it and in the background. 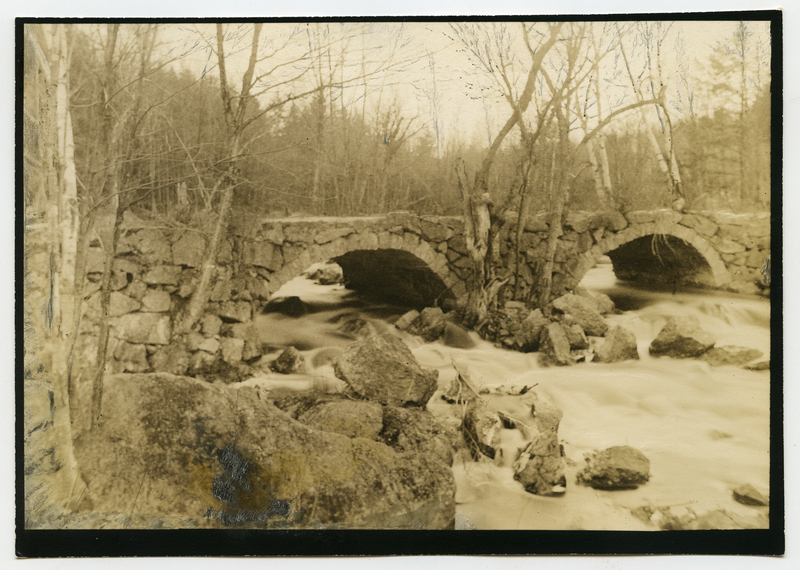 Johnson, Clifton, 1865-1940, “North branch of Contoocook River,” Digital Amherst, accessed April 23, 2019, http://digitalamherst.org/items/show/3554.